Southern favorite! 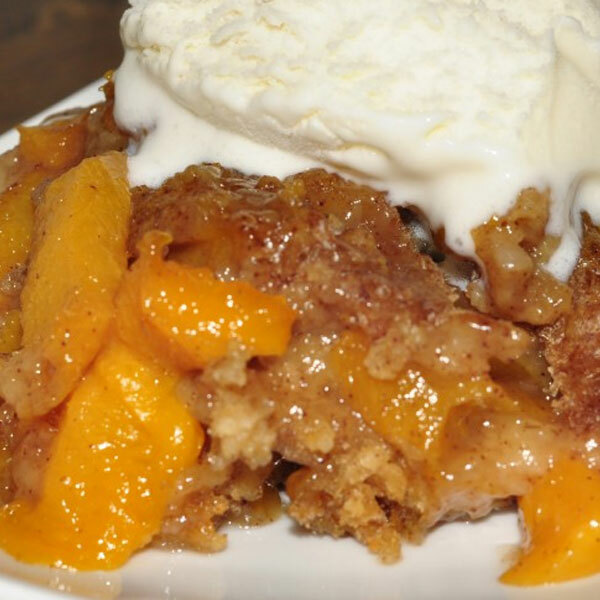 Lots of peaches baked in buttery crust topping. Take it home, warm it and add ice cream!